Vintage kitchenware and cookbook collector Jaymie Leighton has been estranged from her high school best friend Kathy Cooper since they were teenagers, but she never knew what turned Kathy against her. After fireworks at a Fourth of July picnic, Jaymie discovers the body of her former friend in the park. On the ground nearby is Jaymie's own Depression-era glass bowl, broken in two. 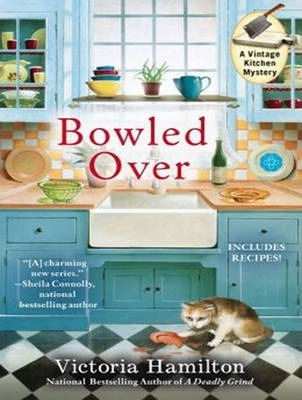 With her fingerprints all over the bowl and a troubled history with the victim, Jaymie suddenly finds herself at the top of the list of suspects. Did the killer intend to frame her for the murder? If so, she is ready to mix it up, because solving crimes is vintage Jaymie Leighton . . .